We’ve partnered with a group of highly experienced therapists and the most potent essential oil company in the world to design novel and powerful therapies to address common health and wellness challenges. From beginning to end, each moment of our essential oils treatment experience has a specific purpose. Every aspect has been tweaked and placed in sequence designed to elevate wellness. This isn’t just amplified massage therapy, it is a multi-modal approach connecting the mind and body by utilizing natural physiological synergies that exist between a number of treatment modalities. Many of our clients report feeling the effects of these specialized treatment sessions seemingly down to the cellular level. We’ve developed specific treatment protocols to address common areas of concern for your clients, including pain/inflammation, sleep/anxiousness, pregnancy symptoms and emotional well-being. For more information on how to integrate essential oils into your massage therapy practice, contact me at mindy@essentialninja.com or click the button at the bottom of this page. Neuro-Somacytosys Corrective Therapy (NSCT) is a unique and proprietary approach leveraging decades of scientific research and therapeutic practice in the areas of biochemistry, neuroscience and massage therapy to provide truly profound wellness treatments for our clients. From beginning to end, each moment of your treatment experience has a specific purpose. Every aspect has been tweaked and placed in sequence designed to elevate wellness. This isn’t just amplified massage therapy, it is a multi-modal approach connecting the mind and body by utilizing natural physiological synergies that exist between a number of treatment modalities. Many of our clients report feeling the effects of these specialized treatment sessions down to the cellular level. Specific essential oils have anti-spasmodic and anti-inflammatory properties, which when applied at certain stages of a deep tissue massage treatment allow for deeper penetration and faster recovery. Pregnancy massage is used to reduce stress, decrease swelling, relieve aches and pains, and reduce anxiety and depression. The massage is customized to a woman’s individual needs. While many pharmaceutical drugs cannot be taken during pregnancy or by infants, there are essential oils that are highly effective and safe for use in addressing maternal and infant issues. Our approach to integrating essential oils with pregnancy massage was developed with input from experienced and renowned wellness practitioners and pregnancy specialists. Specific essential oils are applied and diffused during this treatment to alleviate swelling, muscle soreness, anxious feelings, to elevate mood and promote restful sleep. AromaTouch Therapy was developed by Dr. David Hill, a licensed Chiropractic Physician and the Chief Medical Advisor to dōTERRA, a leading manufacturer of therapeutic grade oils. The AromaTouch Therapy technique uses 8 specially blended essentials oils developed by dōTERRA. Reducing stress – Emotional stress, career choices, family discord, financial worries and the like elevate stress levels. Clinical studies have linked high stress and chronic stress to numerous negative health conditions. Boosting immune system response – We’re exposed to a wide array of toxic insults, including disease-causing pathogens, hormone and pesticide contaminated food products, and elevating free-radical assault from pollution, foods, and sunlight. The AromaTouch Therapy technique uses a blend of oils specifically designed to help reduce adrenal fatigue and strengthen immune system response. Reducing inflammation – The increased consumption of foods with pro-inflammatory components (foods high in polyunsaturated vegetable oils such as safflower, corn, and peanut oil) together with high carbohydrate, low protein diets contribute to increased inflammation in body systems. Stress, with its accompanying imbalance of cortisol, can also contribute to inflammation. Studies increasingly show links between poor health and chronic inflammation. The AromaTouch Therapy technique uses a blend of oils that help reduce inflammation in soft tissue, thereby contributing to an overall sense of well-being. Balancing the nervous system – Imbalance of the autonomic nervous system can negatively impact health in a number of ways. AromaTouch Therapy helps to restore the body to a state of homeostasis (balance) and helps to address the physiological impact of stressors on the body. Clients may schedule a 30-minute AromaTouch Therapy session, or include AromaTouch Therapy as part of their therapeutic massage session. Want to get certified to use AromaTouch Therapy? Visit my AromaTouch Technique Certification page for more details. 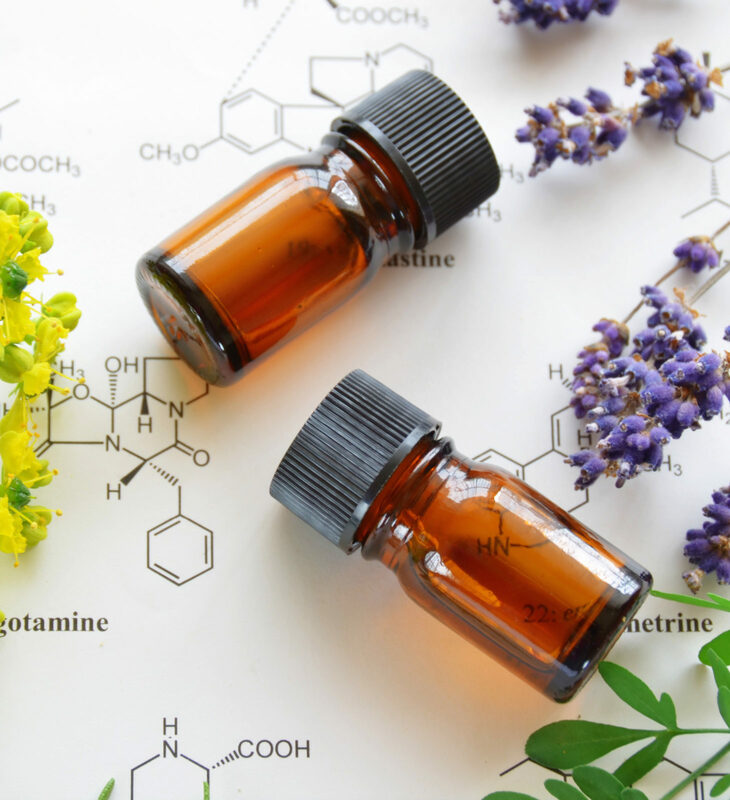 Learn exactly how to integrate Essential Oils into YOUR massage practice!